Violet Voss pigment "The Shore"
I absolutely love this look! I'm completely new to your videos and I totally subscribed. I feel like I can truly follow you and pull this look off. & Your nails are so gorgeous by the way! Great look! 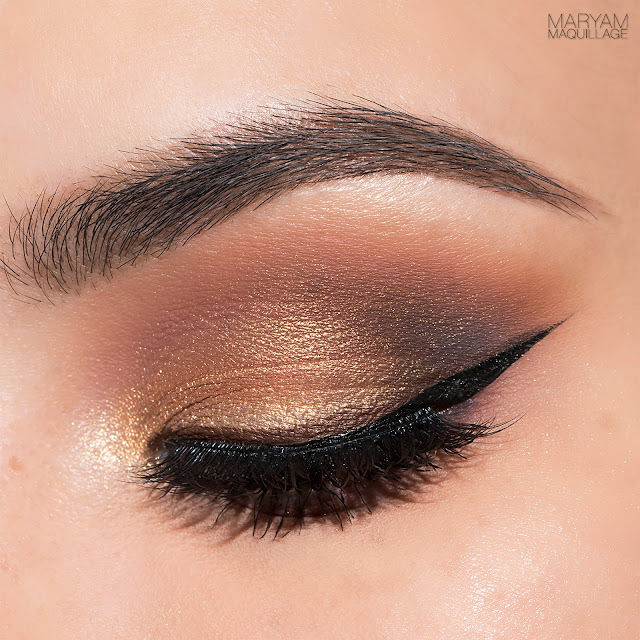 Gold and honey roast are the colors I usually go for when it comes to eye shadow. They suit my skin tone and look good any time during the day. I don't use eyeliner that much (mostly during night time) and usually just de-line my eyes to make my lashes look fuller.